It's time for the New Product Launch! All the Stamps, Die-namics, and Stencils can be found HERE. 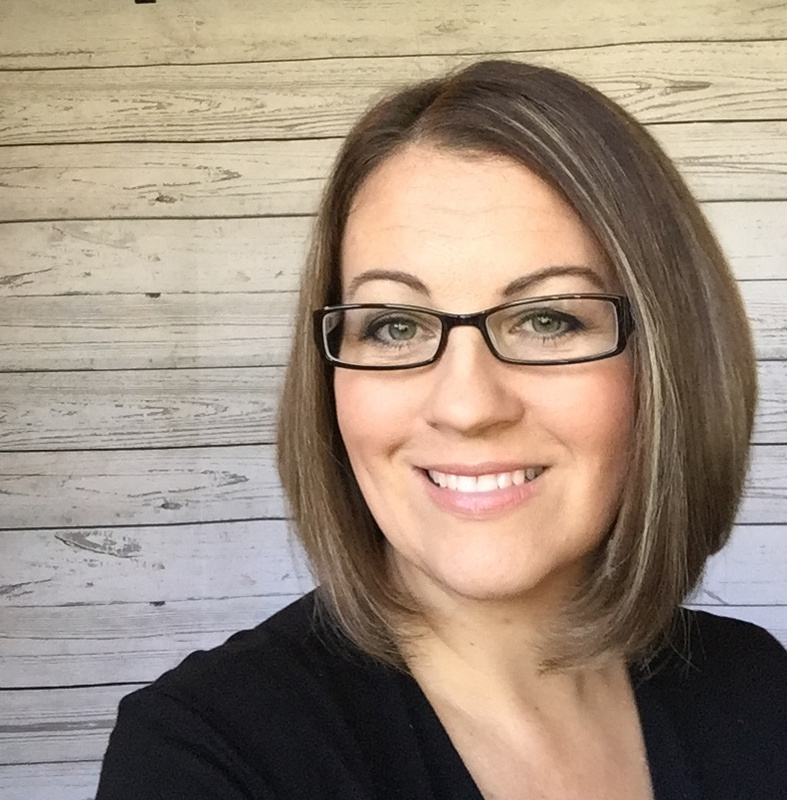 Please remember to visit each of the MFT Designers' April New Product Launch posts on the MFT Blog and leave a comment by the end of the day on Thursday, April 7 for your chance to WIN one of two, $100 Gift Vouchers. Ready? Set. Comment! 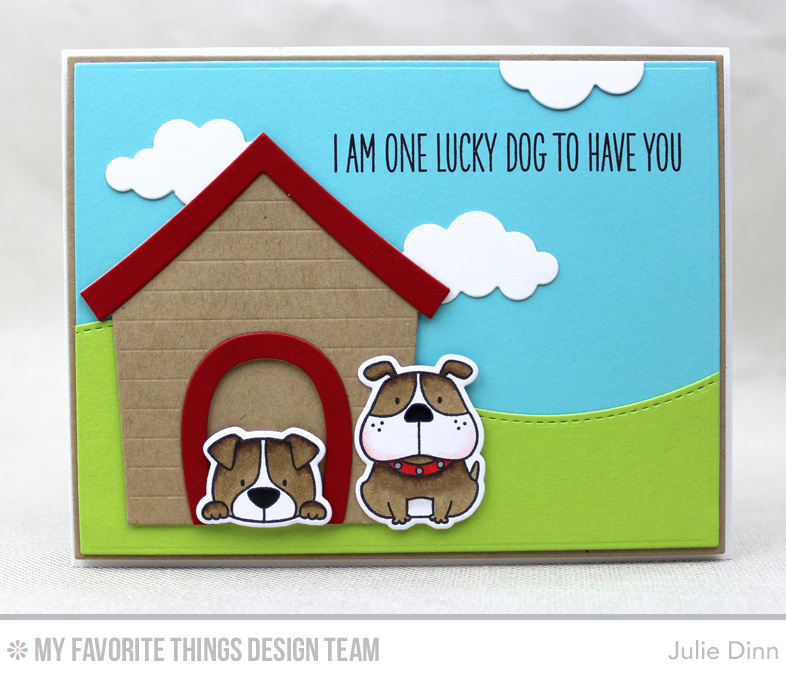 I have a fun card to share with you tonight, it features the Lucky Dog Stamp Set and Die-namics. I stamped these sweet little pups on a piece of X-Press It card stock and coloured them with Copics. The dogs were then die-cut with the Lucky Dog Die-namics. 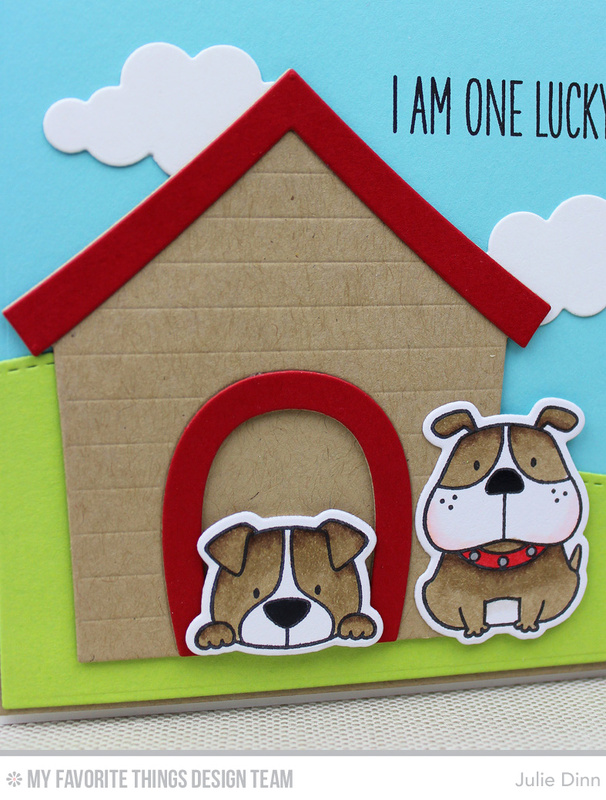 I created their home with the Dog House Die-namics, Kraft and Wild Cherry Card Stock. Cutest little dogs ever and that dog house is adorable with them!! Darling card! Love those sweet pups and the cute doghouse! Such a cute card! love the adorable doggies! This just makes me smile all over, Julie! The pups seem to coordinate perfectly with the Dog House die. LOVE the colors that you've used as well. Fun card. Love the dog in the doghouse-so cute. The dogs are the cutest! I'm a dog lover. I think this card is super cute. What an adorable puppy pair!! So so cute!! This is my favorite set for the new release. This card proves I made a good choice! It's so cute!! Adorable little dogs. Love them! LOVE your SWEET scene and ADORABLE little dogs, LOVE your CHEERY colours and PRETTY colouring too!!! Great design! Love the bright colors you used. I adore this cute dog house, a sweet scene! fabulous card - luv the design and coloring! 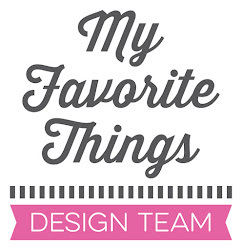 fabulous card - luv your coloring and design. Super cute card, Julie! That dog house is now on my wish list! Totally adorable. I really love these cute doggies. Those faces! Super cute, super sweet! This card brought a huge smile to my face..its adorable. Super cute card - the puppies are just darling. What a great card. This stamp and die set are so stinkin' cute. Love the card, and that sentiment is so perfect! I have been fighting with myself for awhile now about purchasing the dog house di-namics but now I just have to have it! Being a dog person your card is one of my favorites! Love this! Very cute card...love the dog house! A dog gone cute card for sure. Sure to cheer someones's day. Cute card. Love all the summer colors. Super cute, love the dog house, have used it many times in my cards....such fun! Oh my! This is such a darling card! awww! This is too sweet! Adorable card! Love the pups! How cute! Love the little doggies and the scene you created! Wow! This card sure put a huge smile on my face! So cute! What a cute and bright card! Lovely! Such a sweet card, I just love this stamp set!! So cute- the perfect doghouse. Soooooooo cute!!! Oh, my, these puppies are so adorable!! Those dog faces and doghouse are so cute! Great job coloring those pups, too. Oh this is way way too cute!! I love both the new dog & cat sets!! This is such a sweet, sweet card! Love it! What an adorable doggie scene. The dogs are precious. Oh! Your doggies are so cute! Lovely card, the dogs are so cute! Love your dog scene. Great idea. So cute. I love these doggies! Love things to do with puppies. This is such a cute, sweet card - love it! I am loving the texture built into your card! I need that stamp set, LOL! Love! I'm glad you used the dog house... am looking forward to having it in my collection. Perfect set to work with the dog house! Thanks for the inspiration! I love that sentiment and your card goes perfectly with it..So so cute!! !